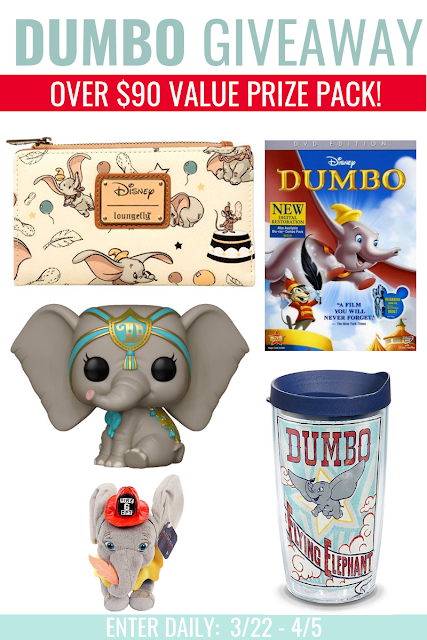 To help celebrate this new Disney release, The Hopping Bloggers have come together to bring our readers a Dumbo prize pack worth over $90! #Dumbo Like Dumbo on Facebook: https://www.facebook.com/DisneyDumbo/ Follow Dumbo on Twitter: https://twitter.com/dumbo Follow Dumbo on Instagram: https://www.instagram.com/dumbo/ Enter to win this Dumbo Prize Pack using the form below. GOOD LUCK! Adorable giveaway. I love Dumbo. I hope the movie lives up to the hype.